Samsung has finally made the new Tizen based budgeted smartphone official today and has confirmed that it will be available in Indian market this month followed by other regions. 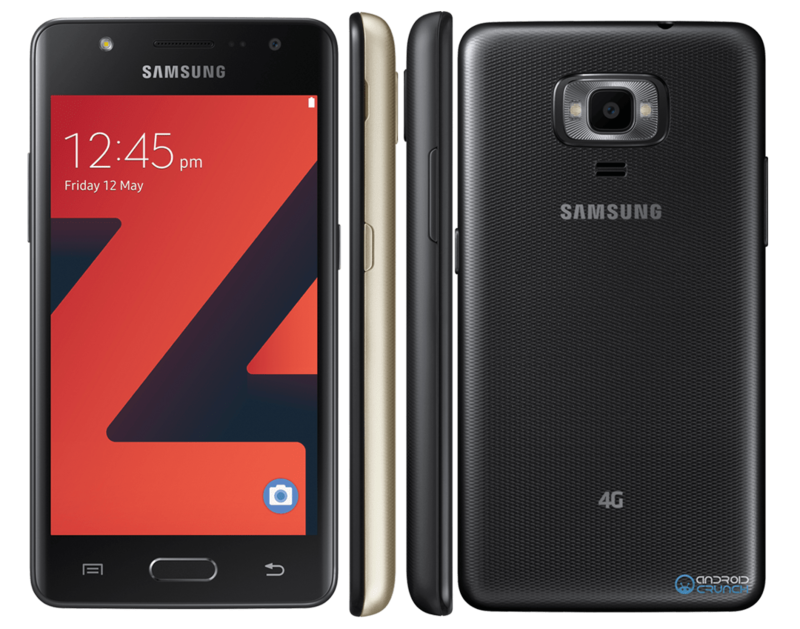 The new Samsung Z4 is the successor to the Samsung Z3 smartphone and it runs on the new Tizen 3.0 OS and comes with upgraded hardware. Samsung Z4 recently got the FCC approval and its support pages were already live on Samsung India and Samsung Africa websites. The Samsung Z4 will be available this May in India with Black, Gold, and Silver colour options. However, the company hasn't detailed the exact launch date of the device in India and the pricing details were also kept private. The Korean based company also announced that the Samsung Z4 will be showcased at the Tizen Developer Conference in San Francisco, California in May, 2017. The Samsung Z4's rear camera is down to 5-megapixel from 8-megapixel seen on Samsung Z3 that was launched two years back. It has same RAM as the Z3 was having and the display is also down to 4.5-inches from 5-inches, hinting towards a downgrade more than an upgrade. The New Samsung Z4 comes with 4G LTE, VoLTE, and VoWiFi connectivity for faster internet access. “We’re dedicated to providing our customers with devices that offer smarter mobile interactions, the Samsung Z4 brings a simplified mobile experience to first time smartphone users and represents our ongoing commitment to expanding the Tizen ecosystem.” said DJ Koh, President of Mobile Communications Business, Samsung Electronics. The company has introduced smart features with the camera. The users can easily take photos and videos with palm, auto and voice controls and for faster selfies, users can take photos by showing their palm and saying “cheese” or by waiting for Auto Selfie, which uses facial recognition to take sharp and accurate pictures. The Video Flip function can take continuous videos of its users and allows simple switching between the rear and front cameras to capture multiple views in one single video. The Samsung Z4 features a 4.5-inch WVGA display with 2.5D curved glass and 480x800 pixels resolution. It is powered by a 1.5GHz quad-core processor and comes with just 1GB of RAM. It will be available with single and dual SIM options according to the region and will run on the latest Tizen 3.0 OS out of the box. It also comes with a couple of sensors ilike Accelerometer and proximity sensor. It features a 5-megapixel rear camera with dual LED flash and F2.2 aperture. On the front panel, we have a 5-megapixel shooter again with F2.2 aperture and an LED flash as well. A moderate 2,050 mAh battery powers this device and connectivity options includes 4G VoLTE with LTE Cat.4, 3G, Wi-Fi 802 11b/g/n 2.4GHz, Bluetooth 4.0, USB 2.0, GPS, Glonass. It measures 132.9 x 69.2 x 10.3mm and weights 143 grams. To recall, the Samsung Z3 was launched with a 5-inch HD Super AMOLED display and was powered by a 1.3GHz quad-core Spreadtrum SC7730S SoC with 1GB of RAM and it comes with 8GB of inbuilt storage capacity that is also expandable via microSD card up to 128GB. The Samsung Z3 featured an 8-megapixel rear camera with an f/2.2. aperture and an LED flash while we have a 5-megapixel front-facing camera with the same f/2.2 aperture for selfies. Connectivity options include 3G, Bluetooth 4.0, Micro-USB, GPS with A-GPS and Wi-Fi 802.11 b/g/n with 4G LTE option. It is backed up by a 2600mAh battery with an ultra power saving mode. It weighs 137 grams and measures 141.6x70x7.9mm.